A thin layer of water snakes around and over the sand clogged mouth of the San Bernard as it flows into the Gulf of Mexico on Sun Jan 6th. 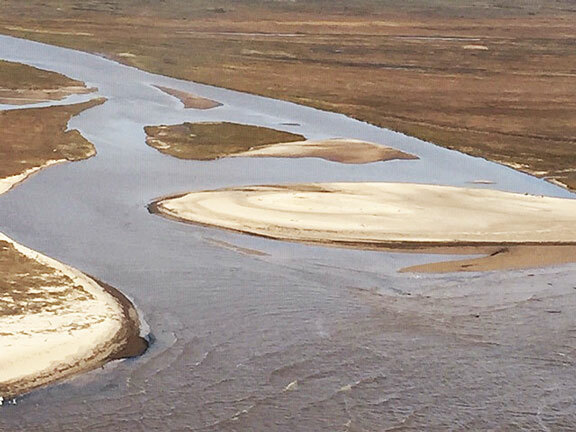 Thanks to entrepid pilot Bert Smith for continually supplying photos of the mouth and surrounding coastal area. Boaters use caution when approaching mouth as the water flowing out in this photo is misleading - it is shallow, shallow, shallow.